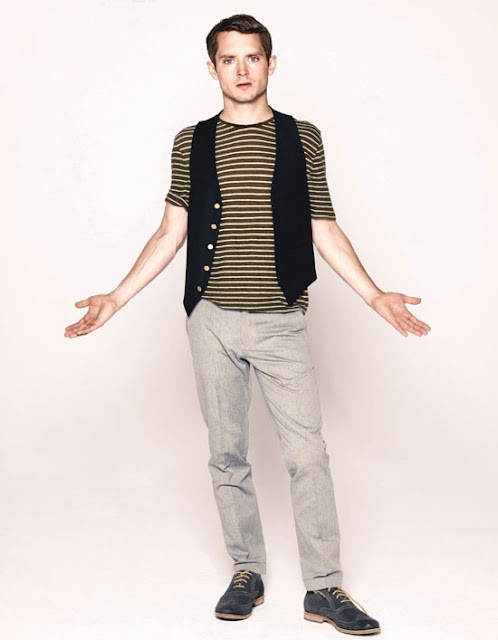 Lord of The Ring's Elijah Wood photographed by John Russo for Men’s Book Atlanta. 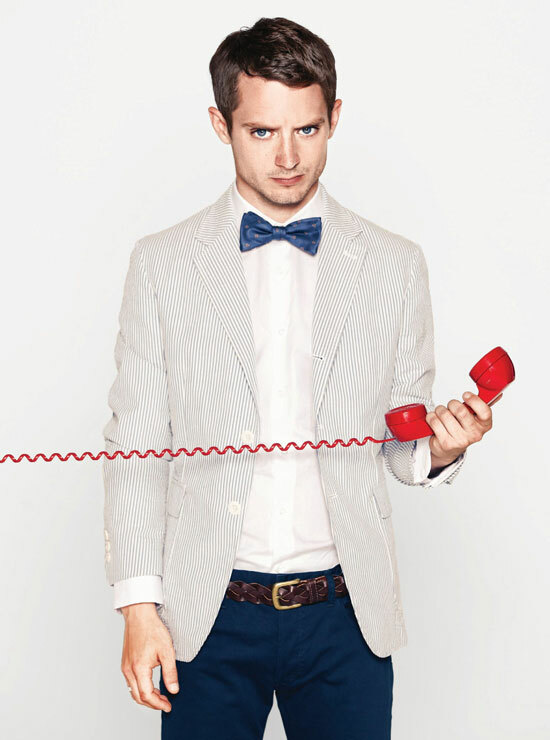 Elijah Wood could be forgiven for feeling a tad schizophrenic this year. Professionally, that is. The 31-year-old actor’s putting the “multi” in multifaceted with a packed slate of diverse projects that each show off a different, well, facet: There’s Wood the television comedian—returning for a second season of the hit cable series Wilfred; Wood the voice artist, vocalizing the digital hero of the new Tron: Uprising animated series; Wood the indie actor, offering an against-type stint in the romantic dramedy Celeste and Jesse Forever; and—perhaps most significantly—Wood the screen icon, who once again walks in the sizable feet of Frodo Baggins as he reprises the role that made him a global superstar for Peter Jackson’s two-part film adaptation of J.R.R. Tolkien’s The Lord of the Rings precursor, The Hobbit. It’s not at all the norm to see a career that began at the age of 8 still going so “awesomely,” but Wood has successfully navigated the oft-dangerous waters of a showbiz childhood, maturing through a much-praised succession of boyhood roles into an impressive roster of films any actor of his generation would envy—The Ice Storm, The Lord of the Rings trilogy, Eternal Sunshine of the Spotless Mind, Sin City and Happy Feet among them—all without addictions, mug shots or stormy romances playing out in the headlines. There is more at Men's Book Atlanta.